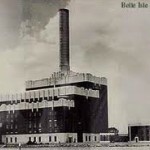 The Belle Isle Station Power Plant was demolished in 1999, four years after the death of Tia Jones, a twelve year old girl who fell to her death after visiting the abandoned building one night with friends. The Belle Isle Power Plant was demolished, much to the dismay of some residents in Oklahoma City who were hoping it would be renovated. 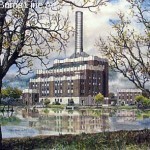 Rather, a Wal Mart and shopping center was built over the land where the Belle Isle Power Plant stood. Today, folks disagree about whether this location is haunted. Mostly the dispute concerns whether or not someone actually did fall from a high place to their death or not. Tia Jones actually did fall to her death at Belle Isle Power Plant. Apparently, she slipped through a hole in the floor on the third floor. Her legs were snapped by the fall and brain swelling from the impact of her head hitting the ground ultimately resulted in her death. Some locals believed that the Belle Isle Power Plant was host to witchcraft and devil worship. It was a place where teens went to hang out, but whether these claims about devil worship and witchcraft are true is another matter. People have reported seeing strange ghostly mists at the Belle Isle Station Shopping Center. 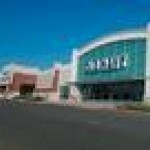 Employees at the Belle Isle Station Shopping Center report hearing ghostly voices calling out their name.